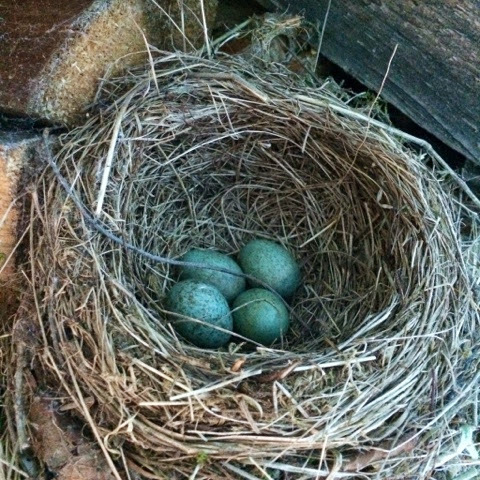 I found a Blackbirds nest hidden under a cover, covering a load of logs this morning. 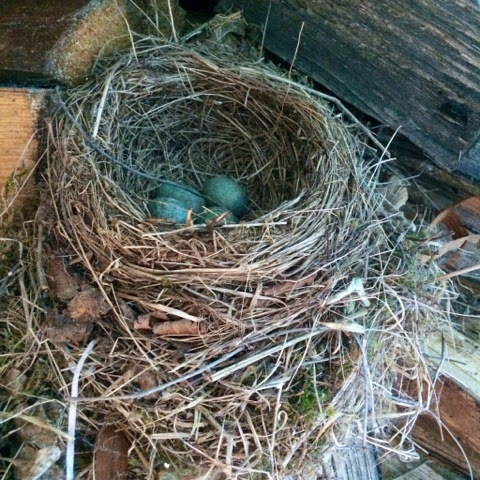 Warmth was coming from the eggs... But isn't it a bit late in the year now? (Location: outskirts of Inverness, Highland, Scotland). Thanks for looking and any opinions welcome! het lijkt mij ook vrij laat. I always thought breeding had finished by early summer, maybe the warm weather has confused them! Lossiemouth - dog walk and a wee bit of birding.